Ms. MacArthur is interested in provider-patient and provider-provider communication and educating healthcare providers about the important role of effective communication and interprofessional communication when exchanging health information with patients and colleagues. Dr. MacArthur’s research interests are centered on the intersection of health and instructional communication. She is interested in provider-patient and provider-provider communication and educating healthcare providers about the important role of effective communication and interprofessional communication when exchanging health information with patients and colleagues. Her areas of expertise include, (1) educating providers about communication in healthcare organizations, (2) interprofessional communication in interdisciplinary provider teams, and (3) provider-patient communication. 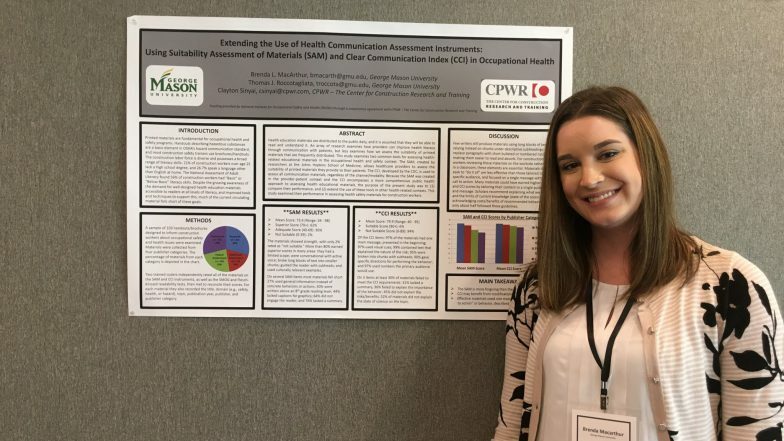 She has conducted research focused on how socialization experiences and subsequent identities affect physicians’ interprofessional communication in the workplace, as well as research focused on how physicians use communication strategies to engage in or avoid discussing particular topics with patients. Her recent work also focuses on the role of interactive communication technology, which contributes new relevance to the study of miscommunication and inappropriate communication in both the education and healthcare contexts. As an avid researcher, Dr. MacArthur has presented her work at national and international conferences. As a graduate student she received funding for her thesis and dissertation research, and continues to conduct research within externally-funded projects. She currently serves as the Program Evaluator for two community-level health interventions funded by the Substance Abuse and Mental Health Services Administration (SAMHSA). She earned her B.A. in Communication from Bryant University, and her M.A. in Communication Studies with a concentration in Health from Texas State University. She earned her Ph.D. in Health Communication from George Mason University. Prior to joining Mason she taught in the Department of Communication Studies at Texas State University. This study validates the SAM and CCI for use in health-related contexts other than patient education. Additionally, the results offer important implications for how health-safety training materials are assessed for general readability/suitability. Villagran, M. M., & MacArthur, B. L. (2016). Quantitative Communication Research. In E. Wittenberg-Lyles, B. Ferrell, J. Goldsmith, T. Smith, S. Ragan, M. Glajchen, & G. Handzo (Eds. ), Textbook of Palliative Care Communication (pp. 408-416). New York, NY: Oxford University Press. Broeckelman-Post, M. A., & MacArthur, B. L. (2016). The impact of public speaking and hybrid introductory communication courses on student perceptions of homophily and classroom climate. Basic Communication Course Annual, 29. Broeckelman-Post, M. A., & MacArthur, B. L. (2016). Nontraditional students, multilingual learners, and university type: The vital missing comparisons in our basic course research. Basic Communication Course Annual, 28, 22-32.